Seventy years ago today (April 23, 1945) 441 prisoners of war (365 British and 76 American) were pushed to their limits on the second day of a forced march by their Japanese captors. As Allied forces approached, the Japanese were intent on shipping their POWs to Japan from a prison in Rangoon, Burma. Because Allied forces blocked shipping lanes to Rangoon, the POWs were subjected to a grueling march to a Japanese Navy vessel waiting at the Gulf of Martaban. One of the POWs was my uncle who had already endured seventeen months of enslavement. 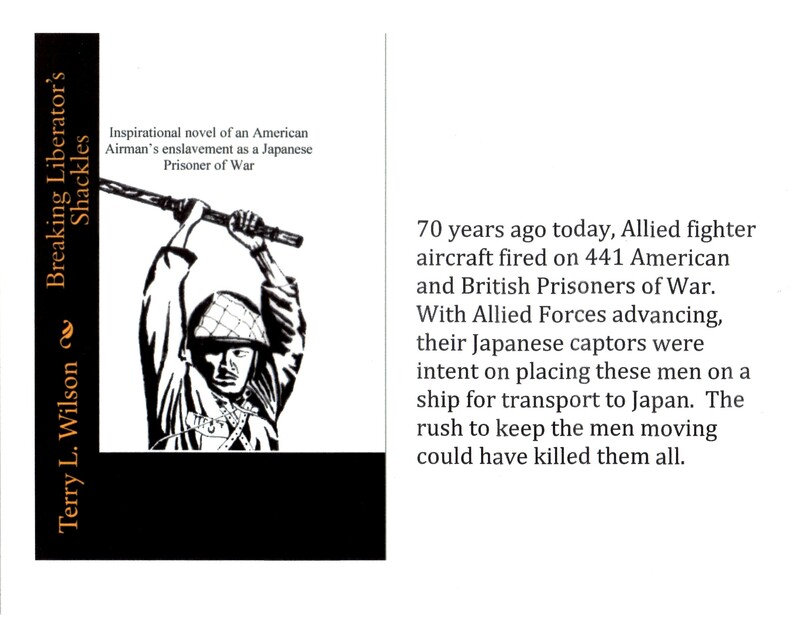 In honor of the heroics of these men, my inspirational novel of an American Airman’s enslavement as a Japanese Prisoner of War continues a seven day Kindle 51% discount special at $1.99 (FREE for Kindle Unlimited). BREAKING LIBERATOR’S SHACKLES http://amazon.com/dp/B00UD6040C, masking history in fiction, provides an accounting of the crew of an American B-24 Bomber, tail number 273312, that went down in a Burma marsh in November of 1944.